But I used my food processor this time. 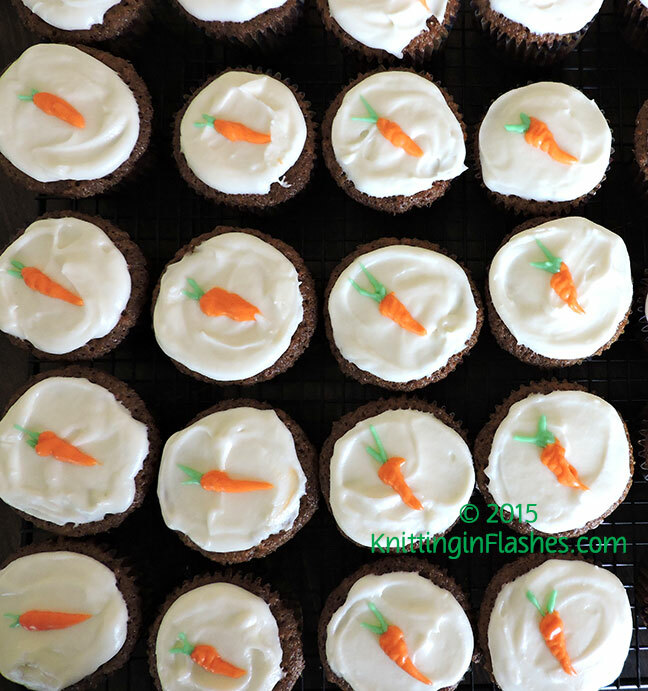 The grated carrots were a larger grate than I wanted but the cupcakes still turned out fine. Actually the hardest part is not eating all of them at once! Add eggs and oil to all dry ingredients. Beat till smooth. Add carrots and nuts, if using. Place in a greased 9×13 pan. Bake at 350 degrees for 40-45 minutes. Cool before icing. For cupcakes: Fill cupcake pans with liners and fill 3/4 full. Cake is dense and doesn’t rise as typical cupcakes. Bake at 350 degrees for 20-25 minutes. Beat cream cheese, butter, and vanilla until smooth. Add powdered sugar and beat until fluffy. Ice cake or cupcakes. For icing carrots and stems: reserve 1/4 cup icing and add orange (5 drops yellow, 1 drop red) food coloring and place in a zip bag. Cut small hole in a corner and make carrots. For stems: take 1 tablespoon icing and add 1-2 drops green food coloring. Place in zip bag and pipe two stems at the top of the carrots. 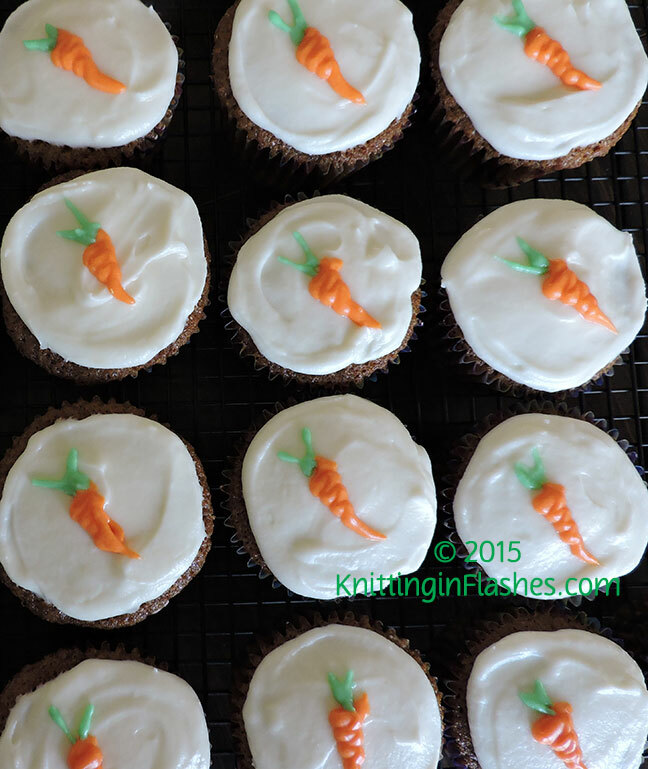 This entry was posted in food, recipe and tagged carrot cake, Easter, food, recipe by Patti_is_knittinginflashes. Bookmark the permalink. Those are so cute. I love carrot cake. Your recipe sounds just like mine.